ชั้น 4 ห้องสุจิตรา อาคารมูลนิธิอาสาสมัครเพื่อสังคม (มอส.) @ 4th Thai Volunteer Service Bldg. 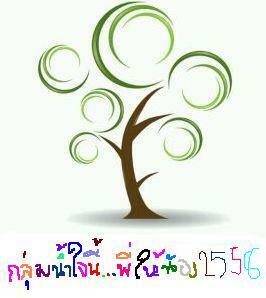 “เข็มกลัดฯ 10 ก.พ.” ชื่อ/สกุล ……. อาชีพ…… E-mail …… เบอร์โทร……. “Sharing Brooches” volunteer – to raise fund for Children and Women who were abused. This Volunteer Projects started in Thailand in the year 2016. Since we learned that lots of women and children in Thailand had got domestic violence including physical violence, emotional and psychological violence, sexual violence, and violent side of neglected or abandoned, as frequently in the daily news. Victims of violence, they are mostly from disadvantaged groups from any reasons, such as education, the economy, or are unsuitable living environment with a family and a community. We are aware of the need to help them in order that they can return safe to the society again. Our volunteer activity is to take part in sharing the help and healing the children and women affected by the violence. 08:30-09:00 Registration, Get to know each other, volunteer activity making brooches to raise fund to help children abused and women abused or got violence. 12:30 Exchange experience of volunteer work and present your designed-brooches. After finish activity, you will get brooches for yourself or you will give to others. – You can join this volunteer activity by support 200 baht for your brooches kits. **Tax exemption receipt can be requested.